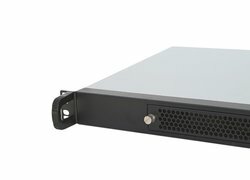 This extremely short 1U rack-mount server case with a depth of only 30cm is compatible with micro ATX (9,6" x 9,6") and mini ITX (6,7" x 6,7") mainboards. 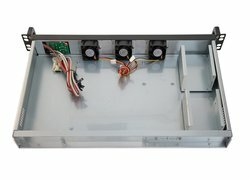 This extremely short 1U rack-mount server case with a depth of only 30cm is compatible with micro ATX (9,6" x 9,6") and mini ITX (6,7" x 6,7") mainboards. A power supply can be selected below according to your specification-needs. Apart from the mainboard, this chassis can accomodate up to four 2,5" harddisks /SSDs. Please note that the integration of a PCI/PCIe expansion card is not possible in this chassis. Ventilation of the chassis is provided by three silently running 40mm fans behind the retractable air-filter in the front-plate. This Fortron 180W flex-ATX power supply provides active PFC, a ball-bearing active fan and a variety of connectors for a broad range of applications. 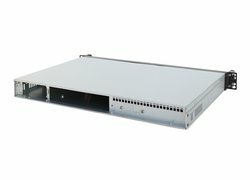 It is mainly suitable for use in very narrow 19" server cases with a height of 1U or mini ITX chassis which are flex ATX compatible. This Enhance 200W ATX power supply provides active PFC, 80PLUS Bronze certification and a variety of connectors for a broad range of applications. 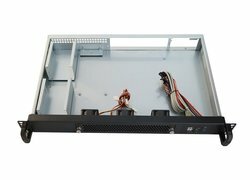 It is mainly suitable for use in very narrow 19" server cases with a height of 1U or mini ITX chassis which are flex ATX compatible. This Enhance 250W ATX power supply provides active PFC, 80PLUS Bronze certification and a variety of connectors for a broad range of applications. 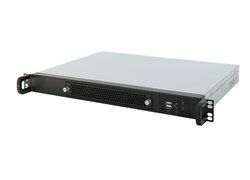 It is mainly suitable for use in very narrow 19" server cases with a height of 1U or mini ITX chassis which are flex ATX compatible. This 250W Seasonic Flex-ATX power supply provides active PFC, 80PLUS Bronze certification and a variety of connectors for a broad range of applications. It is mainly suitable for use in very narrow 19" server cases with a height of 1U or mini ITX chassis which are flex ATX compatible. . This 300W Seasonic Flex-ATX power supply provides active PFC, an 80PLUS Gold certification and a variety of connectors for a broad range of applications. It is mainly suitable for use in very narrow 19" server cases with a height of 1U or mini ITX chassis which are Flex-ATX compatible. . 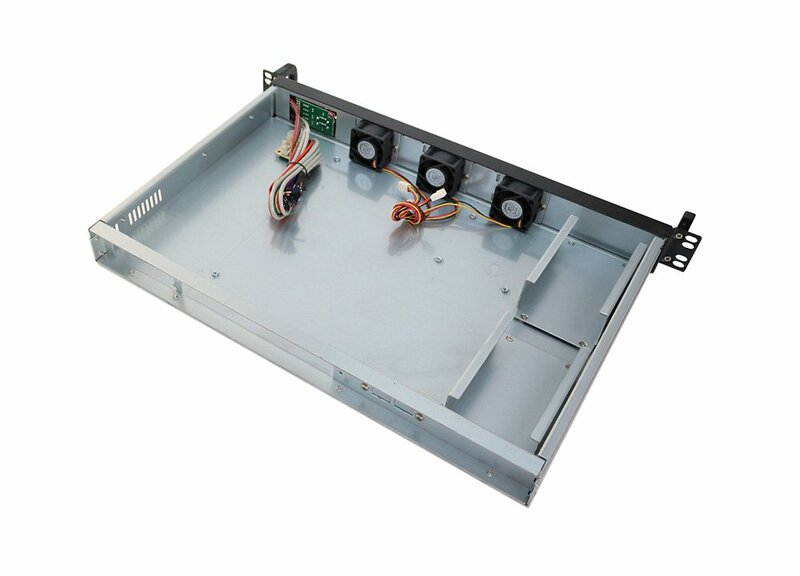 This Enhance 400W ATX power-supply provides active PFC, 80PLUS GOLD certification and a variety of connectors for a broad range of applications. It is mainly suitable for use in very narrow 19-inch rack-mount server enclosures with a height of 1U or mini ITX chassis which are flex-ATX compatible.